You never have to be overwhelmed by your financing options when buying or leasing a new Maserati convertible or Alfa Romeo SUV from Maserati Alfa Romeo of Daytona. The financing team at our Maserati and Alfa Romeo dealership near Jacksonville, FL, is here to help you find the perfect solution for driving home in a new luxury car. Sit down with us and let us answer any questions you may have about Alfa Romeo lease or loan options, Maserati credit approval, the differences between buying or leasing a new luxury car and so much more. Whether you’re leasing a new Alfa Romeo Stelvio SUV or buying a used Maserati Levante sedan, our Alfa Romeo financing department is designed to make the purchasing process quick, easy and efficient. Get behind the wheel of a Maserati or Alfa Romeo you love at our Central Florida luxury car dealership, then speak with our Maserati financing team to figure out the best financing options for you! We offer a wide range of carefully selected financing options from among the most competitive and affordable lenders available. Our Finance Department will work with you to complete your personalized credit application as quickly as possible. Our finance process is completely transparent and our lenders will keep your personal information private. 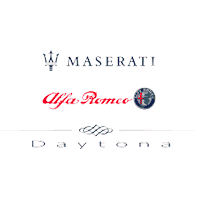 Our team of financing professionals at Maserati Alfa Romeo of Daytona not only have the knowledge but also the work ethic to do what it takes for you to get the best possible financing for your luxury vehicle purchase. We have customers from all around Daytona and Florida who enjoy doing business with us, thanks to our excellent financing reputation. In the spirit of honesty, we want you as a customer to know how the whole process works. Armed with this knowledge, you can better choose the option that’s best for your unique situation. Amount of your down payment. No matter if you have spotless credit or several issues, putting down more money can help secure better financing options. Trade-in value. How much you can get for your trade affects things. Your credit history and score. The better these two numbers are, the more options are at your disposal. Remember that we can usually still help you out even if you have poor credit. Your purchase. When making a decision, finance companies will look at the year, make, model and mileage for a car. The purchase price of the vehicle is another big factor. Personal information. We need to collect not only your income amount but also how long you’ve been living at your current residence and been working at your current place of employment. In some cases, you may be asked for additional information. We?ll walk you through every step of the way and respect your privacy and concerns. Many people worry about what kind of monthly payments they’ll be facing once they get a new vehicle. The financing team at Maserati Alfa Romeo of Daytona understands this, which is why we work to help you choose a vehicle that will fit within your budget, whatever it may be. Number of months you’ll finance the vehicle. Making the loan last longer actually shrinks how much you pay each time. Total loan amount. Going with a less expensive vehicle, or putting down a significant amount of money up front will lower the monthly payments. Annual percentage rate (APR). The lower this number, the lower your monthly payment. The fact is that having good credit allows you to afford more, since it will help you get a lower APR and more manageable monthly payments. Lending agencies look at the scores and history you have with the three major credit bureaus when making decisions. If you’re not sure about your credit score or history, our professional team can look it up for you and explain things. Payment history. Being late or not paying on other loans actually hurts your credit. Open accounts. How many lines of credit you have and what kind they are play a factor. Total amount of debt. How much you owe owner creditors in relation to your income helps determine how much more you can afford to take on. Recent credit inquiries. Too many recent hard inquiries will negatively affect your score. Public records. Having judgements and liens against you will diminish what options you have available.